Halo Online is a free-to-play version of the popular shooter series that was only ever offered in a closed beta test in Russia in 2015. After years on ice, a mod that makes it playable the world over is getting a brand new version on April 20. A new trailer, first spotted by PC Gamer, shows off everything the volunteer group associated with the mod project, called “ElDewrito,” has accomplished since it was first released in 2016, including upgraded graphics, new maps, and its own updated “Forge” map editor. The mod group has latched onto Halo Online in part because it was the only Halo game ever built from the ground up for PC, and the most recent one to be available on that platform since both Halo 4 and Halo 5 were exclusive to Xbox consoles. 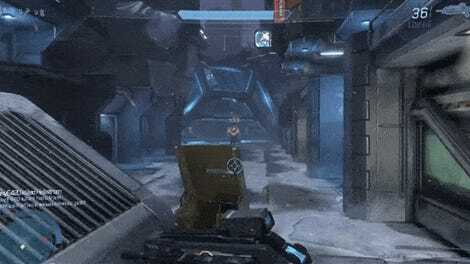 “The 0.6 update brings the game even closer to Halo 3 by fixing the original equipment and adding dual wielding, while keeping features that made Halo Online unique, such as variant weapons and Reach-style armor abilities,” one of the project’s testers, who goes by Hammock, said in an email to Kotaku. Halo Online started as a free-to-play multiplayer game announced by 343 Industries back in 2015 just prior to the release of Halo 5. Developed by Saber Interactive using the Halo 3 engine, the game was only ever playable in a closed beta that year in Russia, and canceled for good in August 2016. Prior to that, a version of the beta was leaked by a 4chan user and ultimately modded with the “ElDewrito” launcher to add new features and make it playable in other countries. Modders added new maps in January of 2016, but stepped back from the project after doing so to focus on a different Halo Online mod, since abandoned, called Anvil Online. Recently, a new group of volunteer programmers took over to continue working on ElDewrito, and announced last month that version 0.6 was finally feature-complete. 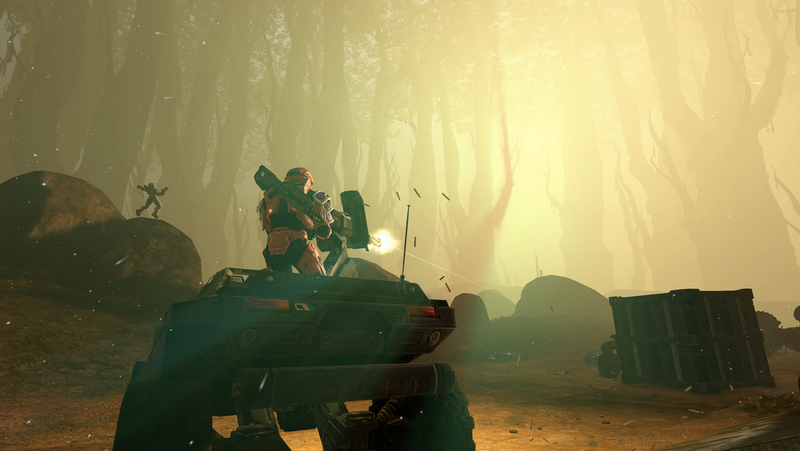 The new version releasing this week has the Halo 3 maps Valhalla and Guardian as well as brand-new fan made ones. In addition to being free like the original game was once intended to be, ElDewrito is also open source, meaning anyone who wants to can fiddle around with the code and contribute to its ongoing refinement—at least if 343 Industries or Microsoft doesn’t intervene. Given the inevitability of Halo 6 and the inherent legal vulnerability of community-based mods like ElDewrito, it’s unclear whether it will ultimately be able to coexist alongside official Halo games, especially any future ones that are available on PC. “We’ve not received a [Cease and Desist notice] or any further takedowns/action as of yet and the team are taking careful steps in the distribution of 0.6 to make sure that doesn’t happen,” Hammock said. According to him, this includes requiring ElDewrito to only work as a transformation of a “legally” downloaded copy of the ms23 Halo Online build—although, since the game was never officially released, the legality of downloading it is still a grey area. Copies of Halo Online could originally be downloaded freely from 4game, publisher Innova Systems’ official game launcher. That’s no longer possible, although it’s easy to find the software on Github or the Internet Archive. Microsoft did not immediately respond to Kotaku’s request for comment.